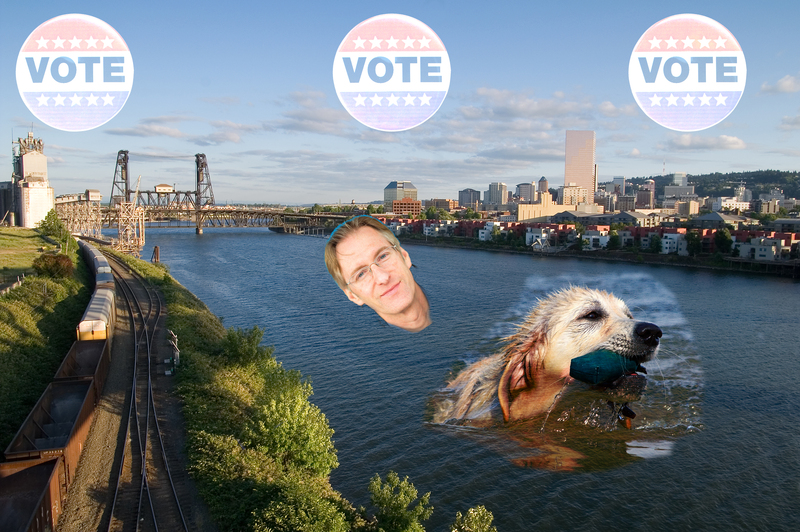 Last week, Portland mayoral candidate Ted Wheeler triathlon-ed his ballot to the ballot box in a spectacular stunt chronicled by the media, including journalists who were ferried by boat across the Willamette River as a bare-chested candidate did his best Barack Obama-emerging-from-water impersonation. 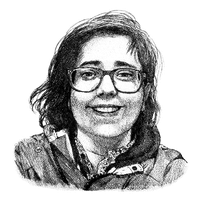 On Tuesday, opponent Sarah Iannarone will walk her ballot three blocks to the ballot box. She's inviting reporters to tag along in pedicabs, and her Onion-like press release announcing the non-event-event is a brilliant jab at the Wheeler camp's confidence—and the media's coverage of his campaign. Iannarone has emerged in recent weeks as a darling of the left to challenge Wheeler, who's long been comfortable with his frontrunner status. "Sarah is going to stroll her ballot to the drop box to remind voters that they must physically drop off their ballots at an official ballot drop site no later than 8 pm Tuesday and we hope you'll be there!" says a statement put out by her campaign Monday. While Wheeler, Oregon's state treasurer, is known for Iron Man-ing and climbing Mount Everest, his opponent is a bit more…pedestrian. "Sarah walks often via her work at First Stop Portland at Portland State University," says the statement. "She also walks for transportation and for recreation." Wheeler invited people to join him in his swim-bike-hike photo op last week, including "swimmers, kayakers, runners, walkers, rollers, hikers, skateboarders, scooters and rollerbladers." So is Iannarone, who "will maintain a slow pace to accommodate people of various abilities," says her campaign's statement. This includes: "Slow walkers, speed walkers, people confined to wheelchairs, the sight or hearing impaired, runners, rollers, parents with strollers, hikers, skateboarders, unicyclists, freak bikers, stilt walkers, scooters and rollerbladers." Wheeler swam across the Willamette on Friday, accompanied by River Huggers and a dog named Mojo. Not to be outdone, Iannarone will be joined by a dog named Sir Francis Bacon from Dog Loco Animal Rescue, as well as members of Bike Walk Vote, who endorsed her over Wheeler and Multnomah County Commissioner Jules Bailey. 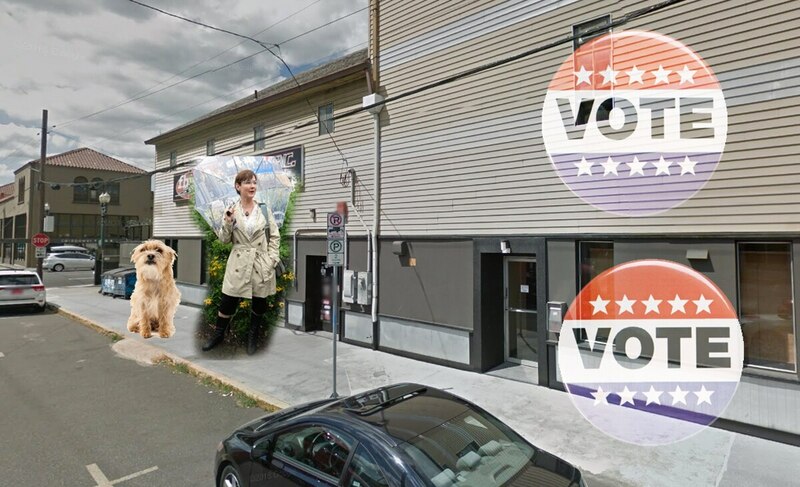 The walk, which is using the hashtag #SarahWalks2Vote, will start at Sarah for Portland Mayor campaign headquarters (725 SE 9th Avenue) at 8:15 am. The Wheeler campaign is taking the joke in stride. "If it's encouraging people to get their ballots in," says Wheeler aide Annie Ellison, "we're in full support." Remember, whether you walk or triathlon your ballot to the box, the deadline to drop it off is Tuesday, May 17 at 8 pm.